Кража котлеты. Генерал, не спешите уходить! Ukrainian Leonid Ilyich Brezhnev of 18 years stretch operated one of the greatest powers of the world the Union of the Soviet Socialist Republics. 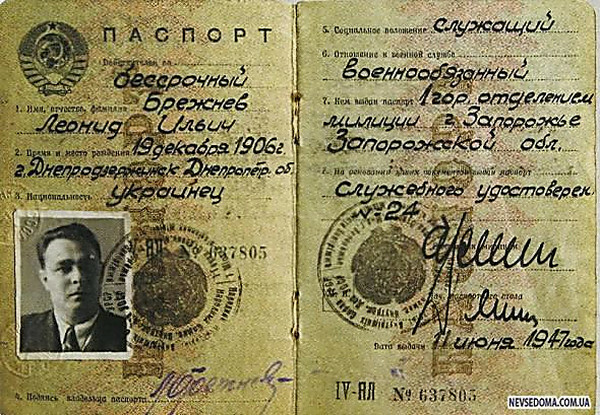 In the passport of the citizen of CCCP L.I. Brezhnev who has been given out On June 11, 1947, in the column nationality appeared – Ukrainian. During this period time Leonid Ilyich was first secretary of the Zaporozhye regional committee of CPSU party. The simple Ukrainian fellow from a working family after service in Red Army, ended Dneprodzerzhinsk metallurgical institute. With 1938 I managed department of the Dnepropetrovsk regional committee of Communist Party of Ukraine, in I became 1939 the secretary of regional committee. Brilliant party career of 33-hletny young dnepropetrovets! And that is characteristic, way upward young Brezhnev I did without bribes, without hairy hand, I served on conscience to the people and party. In 1964 to year the brightest representative of the Dnepropetrovsk political elite Leonid Brezhnev became at the head plot against Ukrainian Khrushchev. The group of the Kremlin conspirators managed to displace Nikita Sergeyevich. 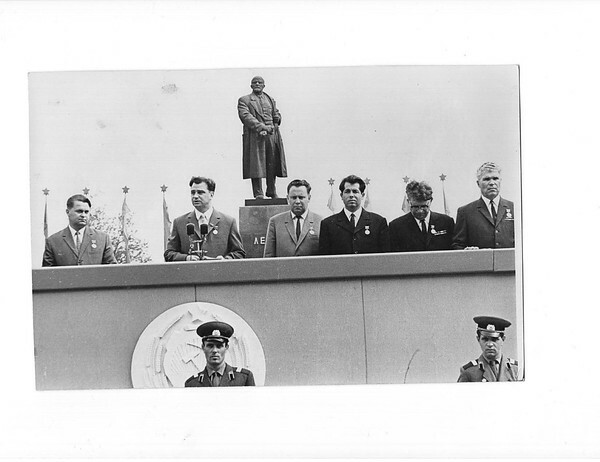 Post First secretary of the Central Committee of CPSU I got to dnepropetrovets to Leonid To Brezhnev. After L.I. Brezhnev, Leonid Kuchma, Yulia Timoshenko and Pavel Lazarenko returned the first to the Dnepropetrovsk elite dominant position and former glory. After wars, golodomor, GULAG, Belomorkanal the distressful people began to live pretty well. 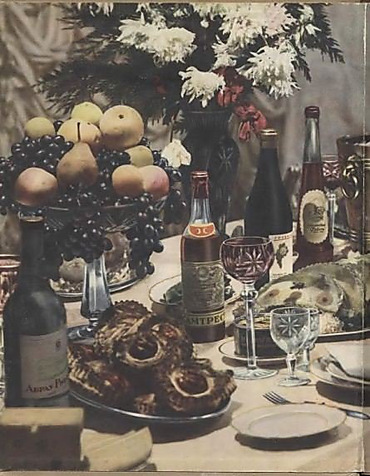 In separate, let tiny, but certain apartments, on tables there were a meat, sausages (qualitative), an ikorka and the Baltic kilechka, the Danube selyodochka, crabs, that in former times, was property only photos in cookbooks, it was possible to see much at all only in festive menus ordinary Soviet citizens. In restaurants long turns were built. On dances the sober youth annealed fate - N - a beater, a twist, rendered habitable Crimea, Caucasus, Carpathians. Besides, Soviet citizens steel less to work to have a rest more. The people went on leave for 18 years. As a whole, I came «kosyginsky petrodollar stagnation». «You want to live - be able to spin» , protection, marriage of convenience–pragmatic household reference points of that time, not lost relevance, and to this day. As a sign of a tacit protest ordinary car owners will begin to glue on back glasses of the «Zhiguli» (as it is bitter and it isn't logical) portraits bloody tyrant Iosif Stalin, and not so good-natured Secretary general Brezhneva! 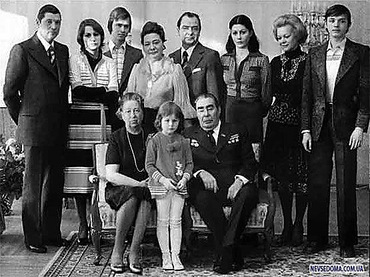 31 a year ago, on November 10, Leonid Brezhnev I died. The attending physician of Leonid Ilyich academician Chazov, the chief 4-го Managements of Ministry of Health, was called by Brezhnev's security guard:"Reanimation is urgently necessary to Leonid Ilyich! " When Chazov arrived, having overtaken the ambulance, saw that Brezhnev died already a few hours ago. Leonid Ilyich died in a dream, is quiet and without sufferings. Such death was considered at all times as the happy. It was Person from capital letter…Eternal to IT memory! P. S. The other day our family remembered person of my father-in-law dear to us and grandfather Kabashny Philip Ivanovich. On a photo (below) my father-in-law and grandfather of my children Kabashny Philip Ivanovich, 1917 year of birth. The communist, died with party membership card. I was at war near Moscow, then in Manchuria against Japanese. I returned to the Nikolaev area in 1946, I was 1 - m the secretary of a district committee in Domanyovke, Snegiryovke, 1 secretary of rural regional committee of CPSU, the vice-chairman of regional executive committee. It all life worked, and sewed nothing. We never will refuse from memory of IT! Photo, May, year 1970. On the right extreme Philip Ivanovich Kabashny, extreme at the left Nikolay Kulish. Vladimir Vasilyev the third at the left, further Leonid Sharayev. The first secretary of the Nikolaev regional committee of CPSU acts Yakov Pogrebnyak.